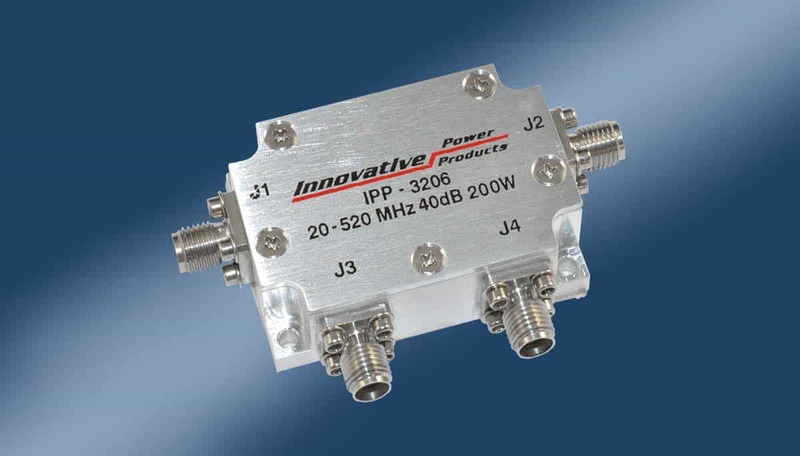 Innovative Power Products, Inc. is proud to introduce one of its newest broadband Dual Directional Couplers, Model IPP-3206, a 200 watt Coupler covering 20-520 MHz., in a very small 1.16’’ X 1.76” package with SMA connectors. Insertion loss is <0.40dB, main line VSWR is <1.25:1, coupled flatness is +/-0.60dB and directivity is greater than 20dB. 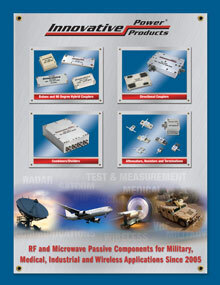 IPP also offers 20-520 MHz as well as 20-1000 MHz 90 degree couplers, Dual Directional Couplers and Combiners-Dividers up to 1000 watts. Delivery is stock to 6 weeks. For pricing or additional information, please contact the Sales Department at 631-563-0088, or email us at sales@innovativepp.com.